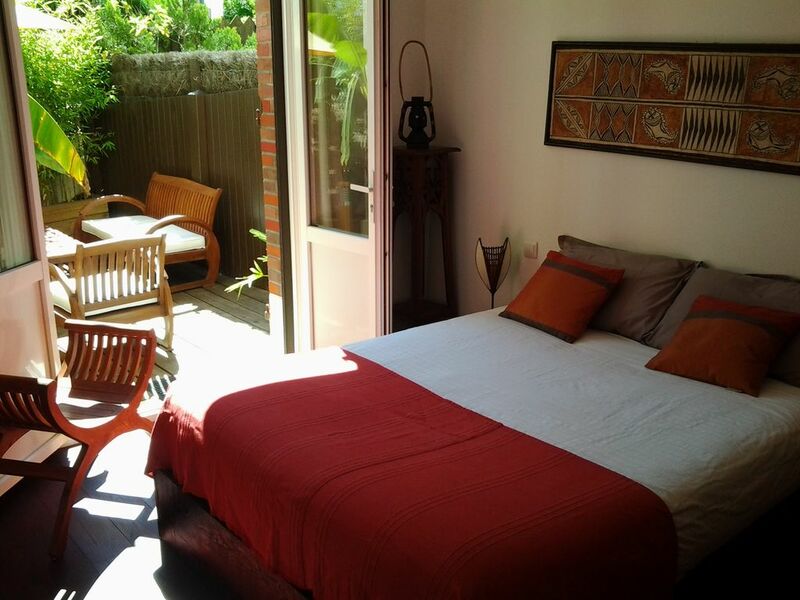 this apartment is located in this authentic 19th century Arcachon villa .. insulation, double glazing and electric shutters ..
For higher rentals 1 week we change all the linen after 7 nights. A kitchen background is at your disposal: tea, coffee, sugar, vinegar oil etc. You will find all the necessary comfort for your holidays ..
We are reachable 24 hours a day on our mobile phones for all your requests. For your stay in train, we pick you up at the dock !! Very welcoming apartment , everything is thought of to make your stay memorable, kitchen is small , but very well equipped , beds very confortable, already made up for you, with white crisp cotton sheets, the shower was very good always plenty of hot water. This was our first visit to Arcarchon, the walk along the beach front is lovely , the town has a very good indoor market with beautiful fresh produce, each morning we brought croissants and bread from across the road, and on the Sunday we tried the oysters (delicious) and for dinner we had roasted chicken and potatoes cooked in duck fat yum yum ! What a wonderful experience! Villa Victoria is in a central position within a two minute walk to a white sandy beach and a five minute walk to lots of bars, restaurants and a supermarket. Sandrine and Rodolphe are a lovely friendly couple who could not do enough for us (even when we experienced a train strike they dropped everything and picked us up!). The Villa is equipped with everything you could think of including information on local boat trips etc. I would recommend this Villa and will certainly go back should we visit this region in the future. Marine Augustin Rodolphe and me will keep a wonderfull memory of your stay !!!! Het verblijf biedt wat beloofd is, een goed geëquipeerd keukentje, aangename badkamer, zonnig terras, goede bedden en zeer dicht bij het strand. De vriendelijke eigenaar haalde ons op aan het station en bracht ons ook terug. Een aanrader! Belle très belle adresse ! Merci à nos hôtes pour toutes ces attentions ! On se sent comme à la maison à la villa Victoria. On revient dès que possible ! Le logement correspond à la description. Tout est prévu pour notre confort et on s'y sent bien. Sandrine et Rodolphe sont très accueillants et disponibles. On a passé un très bon séjour sur Arcachon, notamment grâce aux conseils de Rodolphe pour aller à la Dune de Pyla. Merci. Nous avons passé un très bon séjour la maison très agréable et très bien situé . les propriétaires charmant.